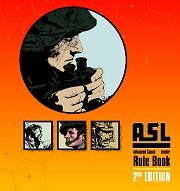 ASL The premier game system of tactical-level World War II combat uniquely combines soundness of design with attention to detail and ease of play. 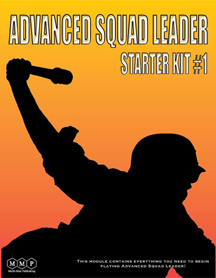 Built on the popular Squad Leader system, ASL has long been the ultimate in tactical wargaming. Now, ASL has just gotten better with the introduction of the ASL RULES 2nd Edition. Not only are the Rules back in full color, but the 2nd Edition also benefits from all the fine-tuning accumulated over the past 15 (ed note: 20+) years. The 2nd Edition also contains material not previously included in the basic Rules, such as: more examples of play throughout, the advanced rules of Chapter E (night, weather, boats, planes, skis, convoys, etc. 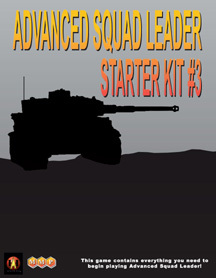 ), the beginner's Training Manual in Chapter K, an expanded Index, and widely-acclaimed playing aids such as the Offboard Artillery Player's Aid and the Overrun Flowchart. Each chapter is in a larger font for ease of reading. How do you get started in ASL? 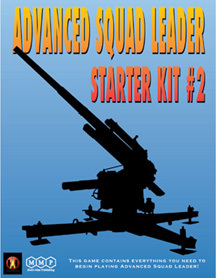 Visit Multi-man Publishing and consider the ASL Starter Kit #1 and #2. Once you tackle those you'll be ready for the main rulebook!